Oh, my dog! Now pet owners can get even more intimate with their loved ones by wearing the same perfume with their cat and dog. Dog Generation Paris has designed the first ever prestige fragrance for dedicated dogs and frisky cats. 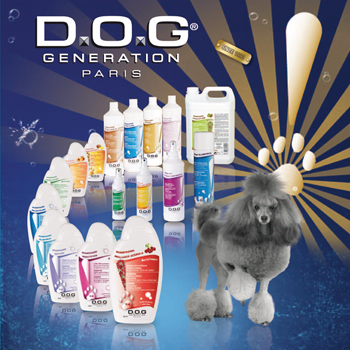 The French company offers an eau de toilette spray and a shampoo (“Oh My Dog! Eau de Toilette Spray and Shampoo”) for dogs, and an eau de toilette (“Oh My Cat? Eau de Toilette Spray”) for cats. The creators of the perfume and shampoo are two former Parfums Givenchy executives, Laurent Jugeau, Etienne de Swardt, and Olivier Echaudemaison. Did you know that the sun can cause damage to your skin in the winter, as well as in the summer? If you said yes, great. For those of you who said no, there can be grave consequences to not using sun protection in the winter. Even more, damage can happen to your skin in winter than in the summer. “I would say it [my skin] would be drier than in the wintertime. I try to use a moisturizer,” says Jill Serrao, an executive assistant at an accounting firm, like most people she does not use sunblock in the winter. Using winter sun protection is a routine Canadians have to start getting used to, in order to keep their skin healthy. Fewer people think of wearing sunblock in winter. Winter winds, UV rays reflected by water, snow, sand or cement can really give you the cold and bruised shoulder. For many, the solution is not that easy. Ombrelle Cold Weather Defence, with an SPF of 25 is L’Oreal’s answer to protecting drying winter skin with a sunblock. It comes in a cream which guards against UV rays and the harsh realities to the skin against outdoor sports, shoveling snow, and walking children home from school. The formula is also sensitive-proof enough to be used on children’s skin as well. Yonette Ward, a fashion and interior designer, says the only form of sunblock she uses is a UV-protection gloss on her lips. 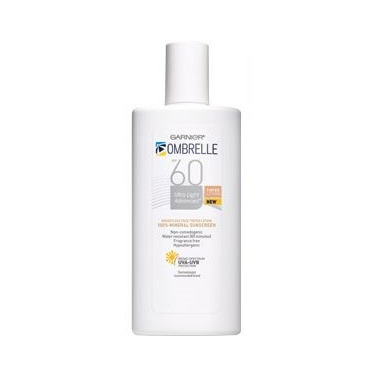 The Ombrelle sun protection also has anti-drying agents to lock in the moisture of the skin. It includes ingredients like glycerin, silicon, and fatty alcohol to add the much-needed moisture to winter skin. “We realized it [the sunblock] was important because of following discussions with doctors and consumers, we need to protect from cold weather aggressions,” says Ombrelle’s Public Relations Manager, Nathalie de Champlain. The spokeswoman for Ombrelle’s Cold Weather Defence product launch is World Champion freestyle skier Stephanie Sloan. Out on the slopes from the first snowfall she understands the importance of winter sun protection. Her husband who was a Crazy Canuck skier died of malignant melanoma in 1990. “To me, daily suncare protection has become as necessary and important as a balanced diet or regular physical exercise,” says Sloan. She also adds sun protection is important to her as an anti-aging device. The new Ombrelle product will be available in November across Canada. Its suggested retail price is $14.49. Roger McTair is a director, poet, professor and writer who lives in Toronto, Canada. He has had short stories air on CBC Radio and BBC Radio. He was born in Trinidad and Tobago on October 7, 1943. Not having much to do while growing up galvanized his love of creating things. It took me five years to teach in Toronto. My first teaching experience was at Carleton University in Ottawa as a Television Teaching Assistant. I later went on to teach in Kampala, Uganda at Makerere University (the oldest African university) and while I was a graduate student at Concordia University. I had grown up in Toronto, however, once I reached the age of 18, due to work and school, I spent time outside of the city. I returned to Toronto for my longest stay in any one city since the age of 18 in 2001. I returned to the Canadian Broadcasting Corporation (CBC), as well as worked with Canoe.ca, Young People’s Press, the Ministry of Citizenship and Immigration, freelance talent work, Media Research Institute, Share Newspaper, Pride Newsmagazine and New Dreamhomes and Condominiums Magazine to name a few. I really wanted to make the transition to teaching, and 40-year veteran of journalism Robert Payne helped me to make that transition. I went to him for career coaching and he let me know in 2005 that there was a job opening in teaching at Centennial College. I applied for the full-time job and although I did not get it, it opened the door for me to teach my first course in Toronto at Centennial in Magazine Journalism that started January 2006. This experience springboarded into working at Seneca College, University of Guelph-Humber, Humber College, Trebas Institute, George Brown College and Ryerson University. If I did not have my master’s degree from Concordia University in Montréal, I would not be able to do this work. The landscape for what a lot of post-secondary institutions are asking of journalism educators is changing. Mike Karapita at Humber College calls it “credentializing.” There is a movement for educators to become more educated, and this is a big reason why I am currently doing my Ph.D. in Education at OISE/University of Toronto. I started May 2010. The next generation of journalism educators has many challenges ahead of them. It is still a competitive market that grows even more competitive because those that are untrained in the field continue to make strides. Journalism education needs more of an emphasis on how young journalists can be entrepreneurs and successfully run their own freelancing business. This is effective from a tax perspective, as well as a job security perspective. Job security is an elusive thing these days; however young journalists can stay on top of this by working for a variety of employers. If you would like more information on this topic, you can email Donna Kakonge at dkakonge@gmail.ccom. More than 10 people came out to participate as volunteers for a conference being held by the American Community Gardening Association (ACGA). The conference is called Gardens of Diversity. Robert Payne has been a journalist for 40 years. He has worked in Quebec City, Montreal, Ottawa, Niagara Falls, London, ON and gained notoriety in Toronto, Canada where he now lives. In the early days of his career, he coupled his work at radio stations with being employed at Dominion stores while in the province of Quebec. Hyacinth Harewood is a civil servant with the Canada Revenue Agency (CRA) working from home, former college professor, former businessperson, former volunteer and mother of five living in Toronto, Canada. She worked as a sessional lecturer with Carleton University in Ottawa, as a professor with Algonquin College in Ottawa for 16 years, has been working with CRA since the late 1980s, and once had her own sole-proprietorship business focusing on communications and written work. This consummate professional used to get up at 3:00 a.m. to work on her business, and then take care of five children to get them ready for school. She would continue working on her business while her children were at school and tend to their needs once they were home. She played the role of a superwoman well. This impressive woman who was educated at the University of Western Ontario where she studied French and Spanish, then received her master’s degree at the University of Ottawa in applied linguistics managed to juggle a life of work, family and children. She has been a terrific role model for her five children. Adrian Harewood and I first met at the NFB in Ottawa in 1993. He was a student at McGill then where he graduated and also later became Station Manager at CKUT (McGill’s community radio station). He has done various freelance work for the CBC and stations in the United States. Seventeen years later, he is married and anchor of the 6:00 p.m. and 11:00 p.m. news in Ottawa. He met his wife Lana at a gospel music event that he hosted marking Martin Luther King Day. Harewood says that he does not have a typical day. Knowing how to make good use of his time, Harewood has advice for young journalists who would like to be where he is today. All this advice has helped Harewood to be who he is today. Five years from now he sees himself writing a lot more for newspapers and magazines and pursuing some book projects. He would also like to teach at some post-secondary institution. He would like to produce documentaries for radio and TV…and yes ladies (perhaps, gents)…he will still be married. 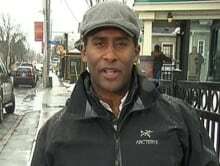 To catch Adrian Harewood’s work on CBC, please check out CBC Ottawa online. Gini Dickie is a teacher-librarian, as well as a political activist in her own right living in Toronto, Canada. She worked as a teacher in northern Nigeria with CUSO-VSO, she worked at Expo ‘ 67 and she has been active working with Chilean refugees. She has worked in the inner-city Regent Park area of Toronto, as well as with York University. She also owned her own typesetting business for a brief period of time and everything she has done has taught her about the world around her, as well as about herself. Marie-Helene Cousineau is a video and filmmaker who I first met by being her teacher’s assistant at Concordia University in Montreal back in 1997. Her career path has lead her to many opportunities to work with Aboriginal people in Nunavut. She is founder of a women’s video collective called Isuma. Being in a shopping mall can be an overwhelming experience – especially when you don’t have the cash to spend. But, there are ways to have a good time without spending a cent. Before you go shopping, you want to make sure you look good. Visit a makeup counter and get a free makeover and look gorgeous while you walk through the mall. It’s also a great form of exercise. First and foremost – know about samples. Rather than buying anything you need, you can always ask for samples of things and stock them for supplies. This goes for just about anything. For example, I had heard that there was this great hair product called Phyto and went to the mall to get samples every time I needed some. You can do this for face creams, body lotions, and many other toiletries. Trying on new clothes for the fun of it could give you some great ideas to find cheaper versions of what you love at discount places or to get hand-me-downs from friends. Once you’re done with looking your best, catch some entertainment by going into an electronics store and watching some of the stuff they have on their screens. Some really nice stores have chairs set up and might even have a new DVD on. You could always ask them to put on something interesting so you can see the quality of the latest flat screen monitor, without having the money to buy it. What is this world without music? Even the smallest of malls will have one music store and the bigger ones will have more for you to choose from. The best way to find out what’s hot and what’s not is to look at the racks and see how the different CDs are ranked. You can even mellow out by checking out the listening stations in places like HMV and enjoy the tunes. Speaking of how things are ranked – check out the bookstores for the bestsellers. Books from Dr. Phil or the upcoming biography on Bob Denver you can read for free at Indigo or Chapters. Take your time; some bookstores have places to sit so you can be there for awhile. Or squat on the floor. If you have a child, spend that special time in the children’s department of a bookstore reading to your little one. Toy stores are great ways to keep the kids occupied. Perhaps if they can play with that doll or toy truck in the store, they’ll tire of it and won’t hound you to buy it. Get decorating ideas that you can do on the cheap from places like the Pottery Barn. After all this excitement, go to the furniture department and take a nap on one of the luxurious couches of any of the big stores like Sears. Now after you’ve experienced a fulfilling free time, look for loose change in pay phones and on the ground (it can pay to walk with your head down) go to the mall’s bank and make a small donation to Hurricane Katrina relief (every penny counts as you know). If you do have a little cash to spend – The Dollar Store is always a great place. For example, I bought a pair of sunglasses for a dollar with black frames from there and took them to a one-hour optical place and paid way more for the prescription lenses than the frames. People are telling me all the time they look like $300 glasses – but I didn’t spend anything near to that. When you get hungry, try checking out places like Baskin Robbins and many others for samples to get a quick fix. If you go to enough fast food joints for samples, you might even end up feeling full. All this will make your shopping experience pain-free for your wallet and enjoyable. Have a good time and remember to throw a penny in the waterfall if your major mall has one! Food, as you all know, is something that we need to survive. Whether you eat too much, too little or the right amount for your body type, here are some tips on how to cut down on your grocery expenses without starving. If you are on a really tight budget, food banks are a great way to get free food. Some people volunteer there to stock on groceries. This could definitely be a great way to meet some interesting people with fascinating life stories as well. One new friend of mine named Greg who I met on my way to meet an old friend Simone, told me about his experience volunteering at a food bank not too far away from where we both live. He said that the people he met there were great and he also got a lot of free food. Speaking of free food, Greg is a cook and gets a lot of free stuff from the restaurant he works at. If you are looking for a job and need to make ends meet, looking for something in the food industry may be a good way to earn an honest living and stock those empty shelves in your kitchen. Also, a lot of restaurants and grocery stores throw away food at the end of the night. The Loblaws, close to where I live, have their sandwiches with healthy stuff in it like tuna, egg, cold meats and different kind of cheeses that are half price at the closing time. You can get a $4 CDN sandwich for half the price and have all your meals set for the day. If you are like me and you are a breakfast person who enjoys eggs, bacon and some home fries – check out governmental cafeterias. They often have food at discount prices that do not compare to the food you will find in other restaurants for the same price. Remember, it is public property. For dining out, there is always the failsafe “all you can eat buffet.” If you allow yourself to starve enough in the morning and go at a time when you know you will not need to eat again for the day, you can visit one of these places (the ones in Chinatown and Indian villages are especially good). Actually, you cannot go wrong checking out the food of the world wherever you may be located. Now for the traditional grocery shopping – flyers and coupons are your friends. Plus, if you can stand the attitude at times (with the exception of local grocers) try going to places where you can bring your own bags or they may provide boxes for you to take your stuff. I was with a girlfriend Joan of mine and we saw a man riding his bike carrying another bicycle. If that could be done, imagine the strength you could build up carrying your groceries with your bike. If you are blessed to have a car, you need to work out if it is worth it to drive to a supermarket with great deals, or just walk to the nearest one and save on gas. Let us hope the exercise will not kill you. You can also take advantage of the fact the weather is still good and enjoy an old-fashioned farmer’s market. If you avoid the ones in the ritzy neighbourhoods, you can get great deals on everything from jams to corn. Sometimes these farmer’s markets have such amazing deals that it’s worth it to take your car, or rent one, to get out of town and do some shopping in a place a bit out of the way. One of my fondest memories growing up was my Dad taking me and my siblings out to do apple-picking outside of Toronto. They say apples keep the doctors away, so stock up. It would be hard to live on apples alone, but at many of the orchards, you can get a number of fruits dirt cheap and in large quantities. If you are ever really starving and there is just nothing in the fridge and in the cupboards, there is a Chinese proverb that says “one can go without eating for many days, but needs green tea.” Mind you I received this proverb from my friend Steve and I do not know about its scientific basis. I would advise you not to try this at home, but green tea (which you can find inexpensively in China Town) is a great way to suppress your appetite, thus keeping your food costs down. If you have a large family, buying in bulk is always an option. Places like Costco can be a good way to support an army. If you just basically need to support yourself, good advice I got from my friend Joan was to not stock on food. You can end up finding your shelves filled with things you will never eat. Buy what you need and then maybe the rest of the world will have more too. I hope that helps since $100 can go pretty fast on food. I have seen it happen in the blink of an eye and not really understood what the woman in front of me in the grocery line was buying. Always check the prices of the food, remember flyers and coupons can be your friends if you are into that sort of thing and think cheap and be cheap. Donna Kakonge is a freelance writer/communicator/professor in Toronto. Her books can be bought at http://stores.lulu.com/kakonged. She is working on another book she is hoping will be published in 2008. Being in a shopping mall can be an overwhelming experience – especially when you don’t have cash to spend. But, there are ways to have a good time without spending a cent. With high gas prices now it helps to know how to get around for less money. There are so many options; all you have to do is choose. Self-publishing is a passion of mine. The journalist in me loves the immediacy of it. The fact that you can finish a piece of work and have it published and ready for sale in a matter of a day. The photo archives online make it possible to come up with inexpensive cover designs and voila…you have your book ready for the world. Now I have published 34 books. I have obviously taken full advantage of the ease of publishing online. The fact that I have connections in the United States has made it easy for me to also have my books on Amazon Kindle. E-books are really where the future is at, however, there is nothing quite like cracking open a finished book and having it in your hand to read. For this year, I plan on doing some re-formatting of my past books. I have noticed that some of the books do not contain page numbers and headers which was truly an oversight at the time on my part. Look out for some tweaking and improvement in that area. As well, once I am done that project, I want to create some new stories. I would love to work on other people’s stories with them, as well as create some new ones of my own. If page numbers and headers do not bother you and you would be interested in buying one of my books as is, you can access them from my online store at http://stores.lulu.com/kakonged. As well, if you live in the general Toronto area, I would be willing to meet with you to sell to you extra copies of some of the books that I have such as My Roxanne which has been one of my bestsellers. If you are interested in this, you should truly contact me soon, because I do not have many books in supply. I give a special discount for books bought through me, as well you would not need to worry about shipping. Encouragement to those in the States though – shipping costs are actually very good in the U.S. with Lulu.com. Here’s wishing you a Happy and Safe New Year, plus a prosperous one too. Need to get something off your mind. Book an appointment to speak with me on Skype. The rate is per hour. Sherbrook Street Deli and Markett Inc.
TORONTO, LONDON and ERBIL, Aug. 2, 2016 /CNW/ – UNICEF Ambassador Ewan McGregor travelled to northern Iraq last week to see how the conflicts sweeping across Iraq and Syria are devastating children’s lives. Tens of thousands of children have been killed, injured, separated from their parents, forced to work, tortured and recruited into fighting. During his visit McGregor travelled to Debaga camp where he met with families that have escaped brutal violence currently taking place in areas surrounding Mosul in the north of the country. He also spent time with Syrian refugees and displaced Iraqi families in camps and communities around Erbil. The situation for children in Iraq is becoming increasingly desperate. Around 3.6 million children – one in five – are at serious risk of death, injury, sexual violence, abduction and recruitment into armed groups. Many are being ripped from their families and forced to flee on their own, often making dangerous journeys and falling into the hands of traffickers. “Children uprooted by conflict can find themselves alone, without family and in grave danger. No child should be alone. 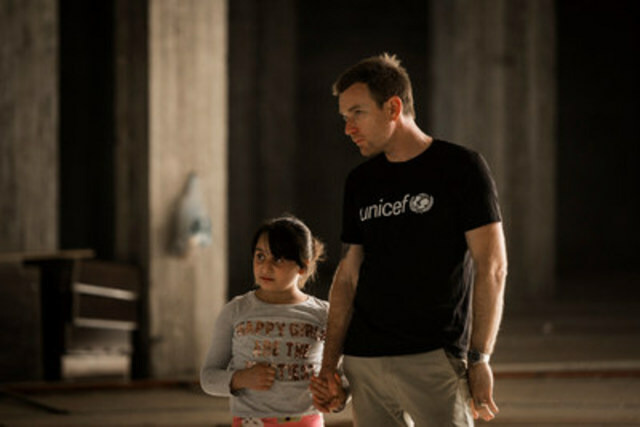 Many of the children I’ve met in Iraq have been forced to flee their homes, risking their lives on dangerous journeys and have been exposed to unimaginable horrors,” said UNICEF Ambassador Ewan McGregor. This September world leaders will meet to discuss the global refugee crisis at two crucial summits in New York. UNICEF is urging leaders to be strong, compassionate and bold in their commitments to protect children on the move. McGregor witnessed how UNICEF is reaching families fleeing the Mosul area with lifesaving food and water, child protection services and healthcare. Many of the people he met, who had been previously trapped, had not had access to healthcare, education or basic services for over two years. UNICEF is working to protect children across Iraq and Syria, delivering life-saving food, clean water and vaccines, as well as providing education and psychological support. However humanitarian aid cannot keep pace with the tremendous needs of children. UNICEF is supported entirely by voluntary donations and helps children regardless of race, religion or politics. As part of the UN, we are active in over 190 countries – more than any other organization. Our determination and our reach are unparalleled. Because nowhere is too far to go to help a child survive. For more information about UNICEF, please visit www.unicef.ca. certains types de trafic Internet. la politique de façonnage serait éliminée pour tous les clients d’ici décembre 2012.
processus pour assurer leur résolution en temps opportun. 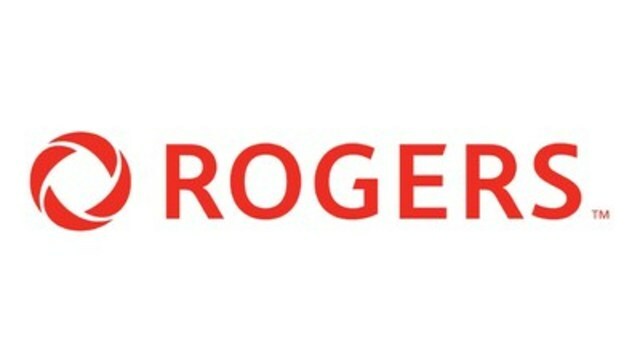 radiodiffusion et télécommunications au Canada. Create an Experience with Airbnb for Markett Inc.